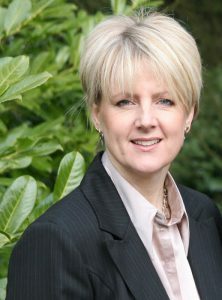 Mind Coach and brain trainer Kay Cooke is based in the North of England, where she runs The Managing Excellence Group. In 2004 Kay was awarded ‘North East Woman Entrepreneur of the Year’ for an innovative arts business, out of which her current business emerged. With a lifelong passion for teaching and learning excellence, creativity, health and wellbeing, Kay’s diverse career paths have taken her to work nationally and internationally, across public, private and voluntary sectors. It is Kay’s creativity, and out of the box thinking, that enables her to forge new models of human excellence, such as the Happy Brain project – educating children and young adults to think smarter, feel better, and make powerful plans to succeed. Kay is a member of the Society of NLP’s training team that assists Richard Bandler in his European trainings, a member of the Society’s education team supporting Kate Benson in her work to improve standards of teaching and learning. She is also part of the assisting team supporting Paul McKenna’s hypnosis trainings in the UK. As well as running corporate training in disciplines such as resilience, customer service, management, and communication, NLP, and hypnosis, Kay also runs a private clinic in rural Northumberland. Here she works with clients from all spectrums of society, favouring her work with children, young people and their parents/teachers. Client referrals also come from the medical profession and include patients who have chronic illnesses like MS, or complex regional pain syndrome. Having past experience of, and freedom from, the chains of clinical depression and a diagnosis of Fibromyalgia, Kay is particularly keen to help others discover the liberation that driving a Happy Brain can bring. Kay’s hobbies include reading, writing, horse riding, being in nature, painting, drawing, spending time with family, friends, and her dogs. Her artwork has been exhibited in the UK under the title of ‘Surface to Deep’ reflecting the symbolic nature of the conscious/unconscious mind relationship. Kay volunteers at a centre for disadvantaged teenagers and also at a physic garden, where she gives talks about ‘nature’s medicine chest’.